With the DNC leak making headlines worldwide, serious concern about foreign powers interfering with the American democratic process is becoming part of the national discussion. Now, security experts believe that voting machines may become the next target thanks to a number of factors that make them uniquely susceptible to attack. Each US state is in charge of its own elections. This means that there is no standardized system of security to make sure the machines remain untampered with. Much voting technology is new. Online voting wasn’t a part of policy until Barack Obama famously called on tech leaders to begin making it a reality. That only happened in early 2016 at a keynote speech of his at the South By Southwest music festival, and as a result many of the voting methodologies being used have not had the time to be rigorously tested. 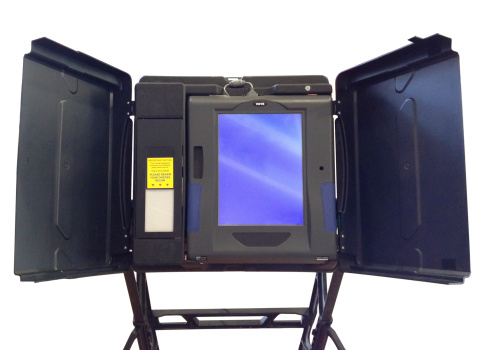 Voting machines have been the subject of scandal before. Anyone who remembers the 2004 elections can recall the national scandal that broke out as a result of Diebold’s voting machine security standards. The source code used in these machines was deemed far below the minimum security standards that would be applied in other contexts, and the company CEO was an outspoken supporter of his preferred candidate, George W. Bush. How Can We Keep the Vote Secure? Paper leaves a trail that is far more difficult to tamper with than a digital one, and many security experts believe that our security infrastructure is still not ready for online voting. However, making the vote more accessible is a top priority among constituents across the aisle and this means that measures will have to be taken sooner rather than later. One possible remedy would be the establishment of oversight teams that probe the security of polling booths in every state. These teams could increase the defenses of any booths that do not meet a Federal standard. Alternately, they could simply move these booths offline and compel them to use a paper-based alternative. The issue with this approach is that voters who find themselves stuck in districts forced to use the paper alternative are likely to cry voter fraud, as the efficiency and speed of voting will surely take a hit. The appropriate response needs to instill the trust of the American people to work; doing so will be a challenging and nuanced proposition.